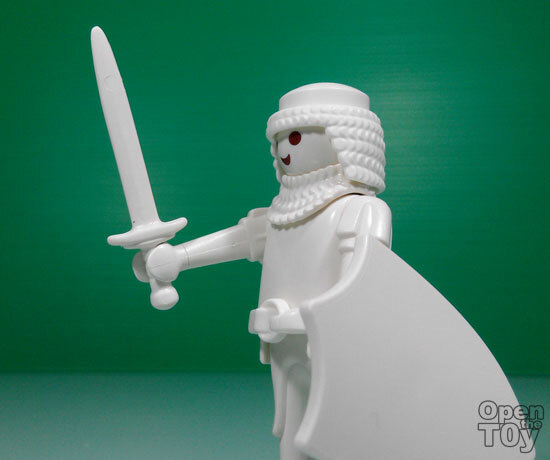 I love exclusive and in the year 2013 Playmobil collectors club exclusive was the White Knight. 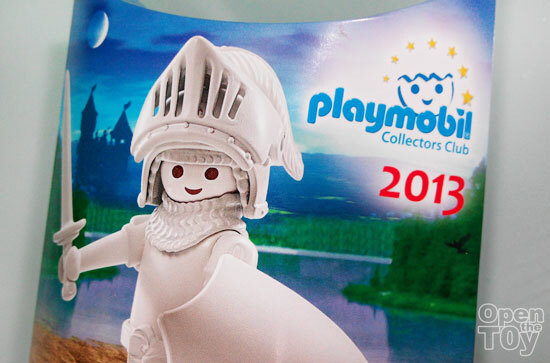 It was an interesting concept to have a "uncolored" or bare Playmobil. A bold step but depend on what was the design, it could work and for this 2013 exclusive, it totally work! 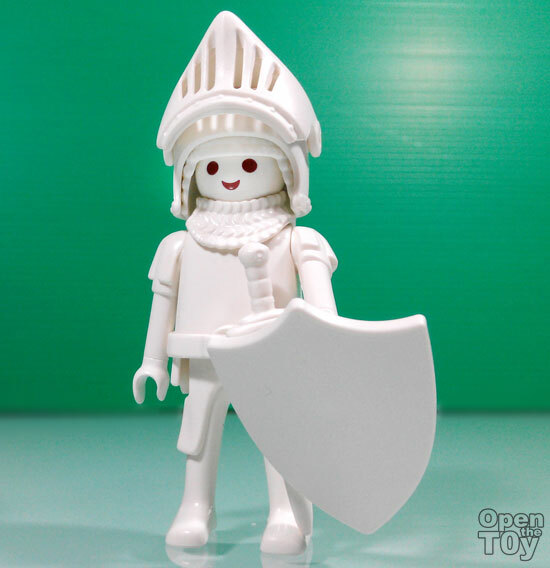 Out of the simple box, the knight look like a white mable statue with a blank shield. 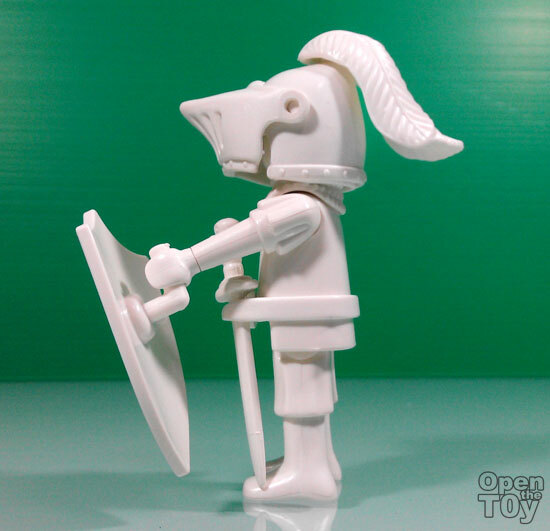 On the side view you will notice how this knight hold the shield. 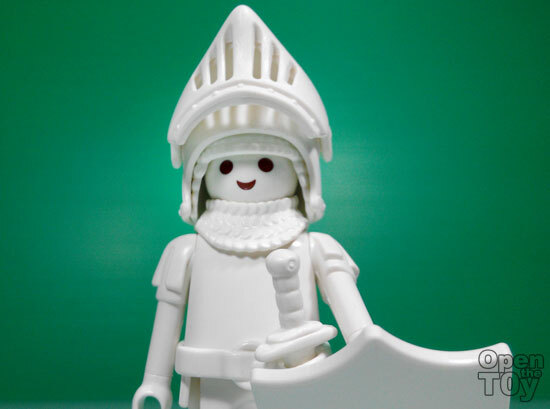 Even at the back the feather of the helmet are in white too which look like made of white clay. 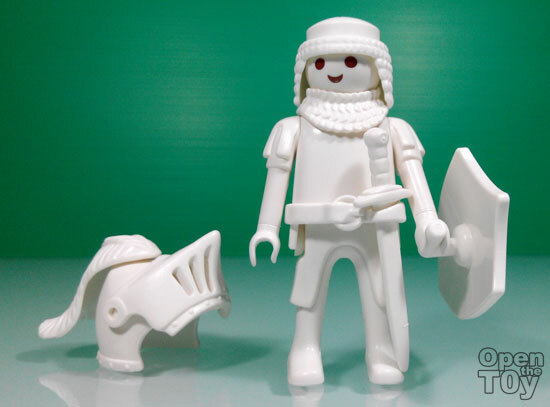 The helmet allow you to show the face of the figure. I like it better this way. 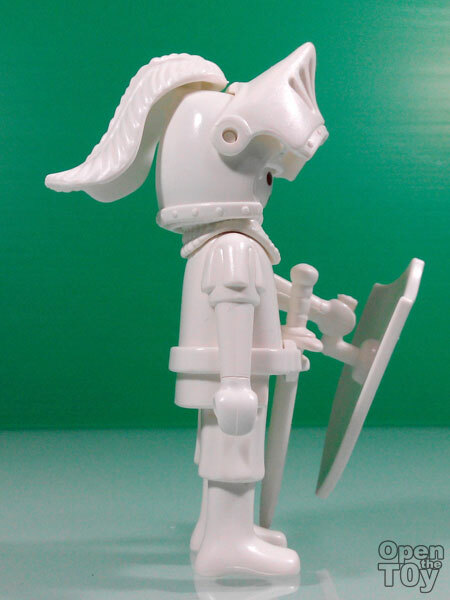 Some may consider this figure to be a good figure to custom paint since it is plain but I am not going to accept such challenges. I like it plain white. It's unique. 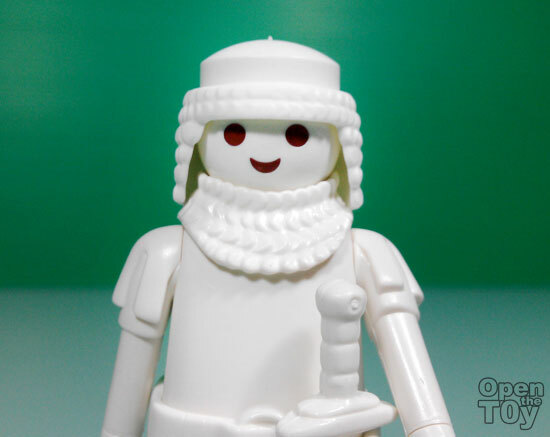 It is easy to remove the helmet and you can see the Playmobil hair was more of a chain mail hood. With helmet off at close up, he look better if you asked me. 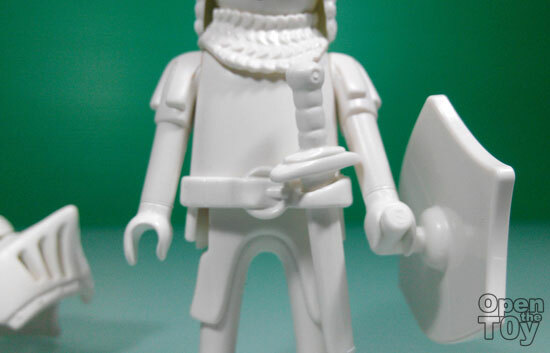 The belt and the sword is one of the common design but it may look different because it is white out. 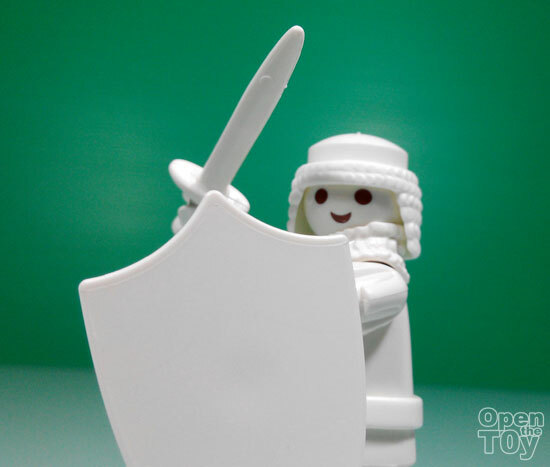 Time to draw the sword! Now at this pose, he really look like a statue. 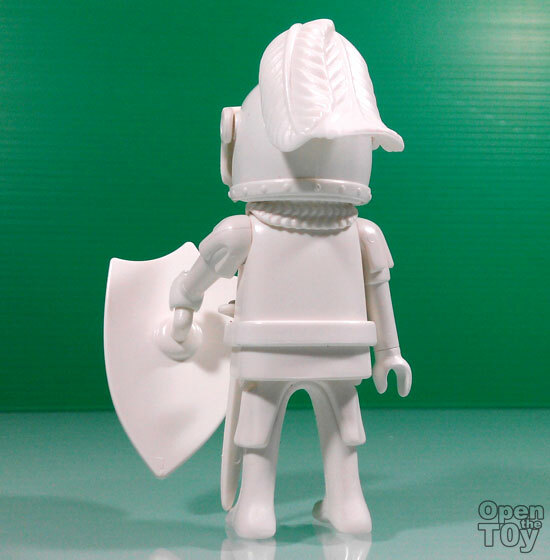 Now the plain white shield really look empty and look like a very good excuse to do some custom design. 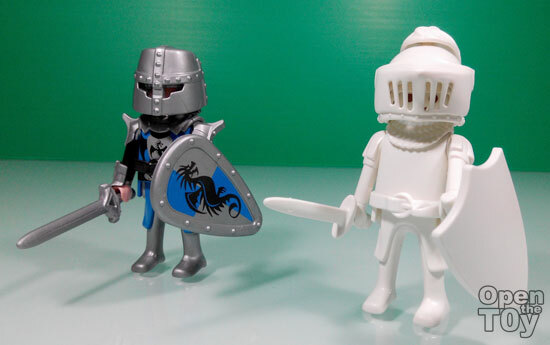 Here is a comparison of a fully colored Knight and next to it, the white knight look ghostly. 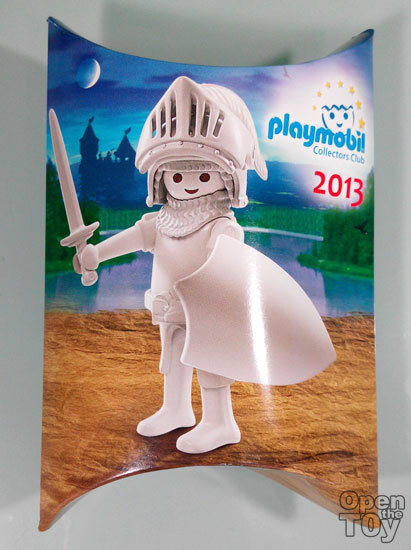 In short for a playmobil character, this is indeed a special figure that collector need to get in their collection. 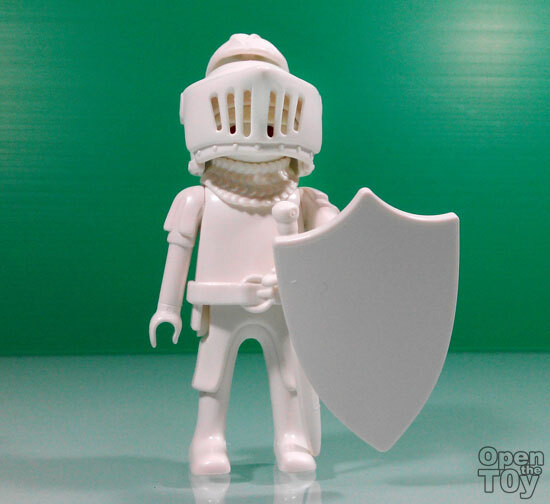 Do you like this White Knight?